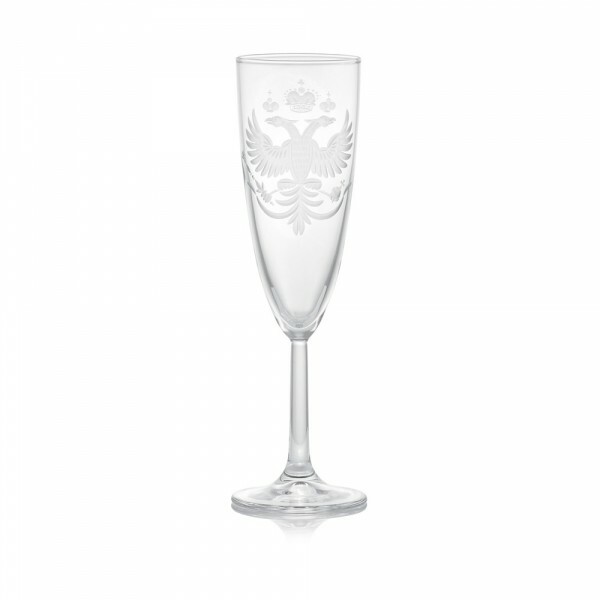 “Eagle” Champagne Glass was made by modern St.-Petersburg masters in the best traditions of the Imperial Glass Factory. For more than two hundred years the glassware of this kind was delivered to the court of Russian Emperors. 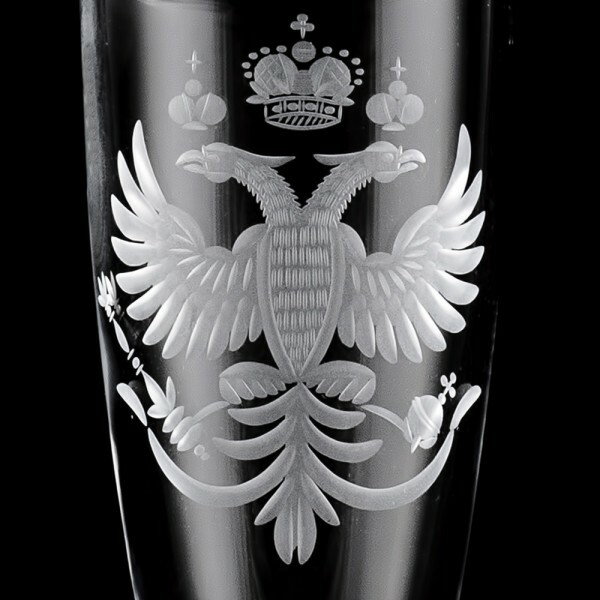 All the items of the Imperial Glass factory were engraved with a double-headed eagle, the symbol of Russian monarchy. 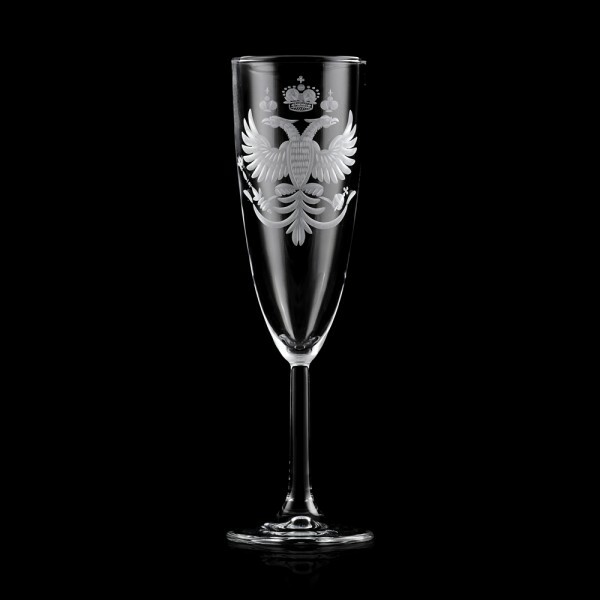 The handmade décor of this champagne glass is created using the technique of 3D engraving. It is a beautiful imitation of the glassware kept at the State Hermitage.